Emma Watson dished the scoop on how she loves her new amazing haircut. 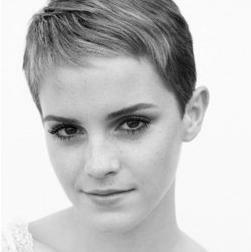 The “Harry Potter” star thought that her pixie hairstyle is the most liberating thing. A stylist only took a whole ponytail of hair so she felt amazing since she needed a long hair for her role as Hermione Granger. She missed experimenting her hairstyles that most teenagers have to go through. Her fans gave her a positive feedbacks about her new hair on Facebook and Twitter.